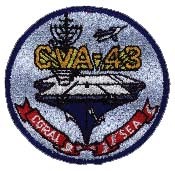 I was in VMA 121 and we were aboard the USS Coral Sea (CVA-43) in 1960/61 with 3 other squadrons of A4s in Carrier Air Group (CAG) 15. 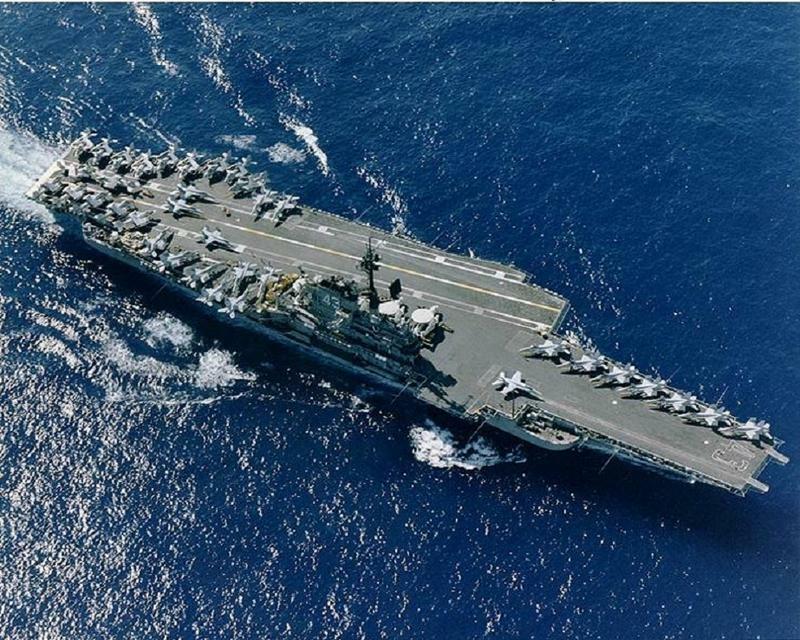 The USS Coral Sea, CVA-43, was anchored in the bay off of Naval Station Sasebo, Kyushu, Japan. The base housed the Navy Fleet Support Activity which provided logistics support for all Naval and Marine organizations in the Western Pacific. The Sasebo Base also provided some boats for use as Liberty Launches to get the Navy and Marine personnel aboard the offshore ships to and from liberty on the beach. The boats looked antiquated to me like WW 2 amphibious landing craft . They were big, ugly, noisy, smelled heavily of gasoline and not very fast. Navy Sasebo had a large pier that was also used for a landing area that was supported by huge pylons. It happened that the Navy LTJGs from the air group felt put upon because they were to stand all the duty officer watches aboard the landing craft. 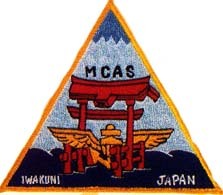 It just wasn’t considered fair because the Squid Junior Officers (JOs) also had to fill the watch officer billets for their fighter squadron counterparts ashore at Atsugi. The Marine junior officers aboard the "Cruel Sea" would be having fun on liberty ashore while the Squid JOs stood all those extra watches. Some Naval officer in a leadership role, who bled sympathy for the apparent unfair suffering of his junior officers, convinced the CVA-43 Executive Officer (XO) that Marines should stand their fair share of the duty officer watches. Both Marine squadron COs reminded the Coral Sea XO that Marines were not eligible to command a Navy vessel at sea. The Carrier XO said that Marines would not be in command, merely responsible for the conduct of the troops riding in the liberty craft while the Coxwains would bear the responsibility for the boat. Young Marines began standing the “Discipline”watches and on the very first night out, an inept coxswain rammed his heavily loaded liberty launch into one of the huge pier pylons. The crash caused substantial damage to the liberty launch. With no officer to hang (prosecute) for the serious incident, the Navy leadership was mortified and literally jumped into decisive action. The Marine liberty launch watch list was permanently cancelled before the next evening Liberty Call. We were operating off the west coast of Kyushu and the ship was due for a port call at Sasebo the next day. The weather was good with some rain showers in the area. As I was manning my aircraft, the plane captain asked me a favor. He said, “Lieutenant, this bird is scheduled for the wash rack in port tomorrow, and liberty will not be given to me until it is clean. Would you please find a nice rain cloud and fly through it a few times? “ I said I would. He said, “ Be sure to fly it upside down to get the bottom clean too.” I made certain that the A-4 Skyhawk was perfectly clean when I trapped aboard the carrier. The lad made liberty on time. The Navy Sasebo Officers club was taken aback by the Happy Hour antics of the Marine pilots and threatened to bar all Marine officers from the club. However, we were saved by the valiant efforts of the wife of Commander Carrier Division, Naval Air Pacific, who had been following her husband RADM Alexander Heyward, who proclaimed she had traveled all the way from Yokosuka, Japan just to “watch” the Marines celebrate at Happy Hour.